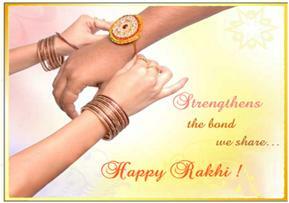 Rakhi in 2010 is on 23rd August, it’s an auspicious day that stands as a festival dedicated to brothers and sisters. Raksha Bandhan means a bond of protection. It is a day marked for brothers and sisters. Raksha bandhan sms or rakhi sms messages collection section is dedicated to brothers and sisters to pickup sms on Rakhi. Trends of exchange rakhi messages, rakhi greetings, rakhi shayari, and rakhi quotes sms is on peak. Have a great Raksha Bandhan everyone from ismsmessages team!